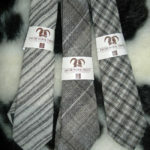 Jacob woollen products from our flock of Jacob sheep. 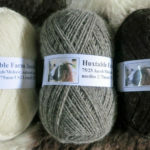 Our beautiful flock of Jacob sheep are shorn in June and the colours in their fleeces are sorted into light and dark, whilst the lambs fleeces create grey wool, producing a variety of natural, undyed colours. 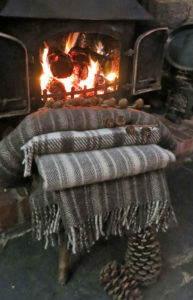 The fleeces are then sent away to be washed, carded and spun into knitting yarn or woven into beautifully soft cloth to produce scarves, shawls, knee rugs, cushions and throws. 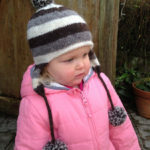 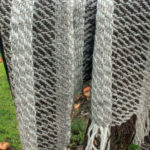 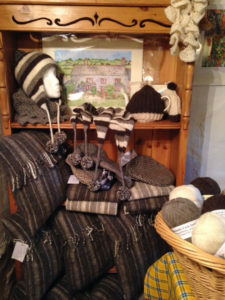 Our small Jacob wool shop also has; – Hand knitted hats, scarves, knitting kits and a variety of other pure British Jacob wool products spun and woven in the UK- neck ties, country caps, and fingerless gloves. 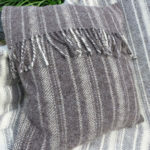 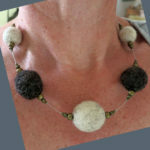 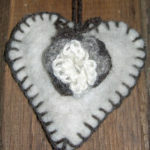 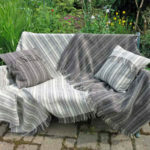 Great gifts for 7th, Wool Wedding Anniversary or birthday presents. 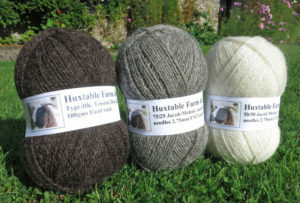 Here are some Huxtable Farm Jacob wool products available to purchase. 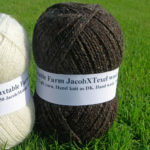 All items are subject to additional postage & packing within the UK only, please Tel; 01598 760254 or e-mail jackie@huxtablefarm.co.uk if you are interested in purchasing a Jacob wool product, as a gift or 7th Wool wedding anniversary present. 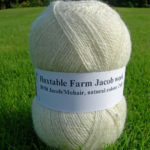 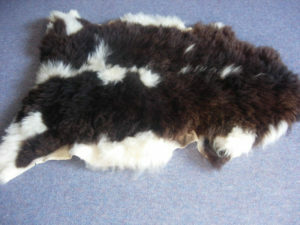 FOR SALE, Jacob fleeces; – Ideal for spinning or felting, The fleeces are beautifully soft, with natural colours and staple length of 6.5cm plus. 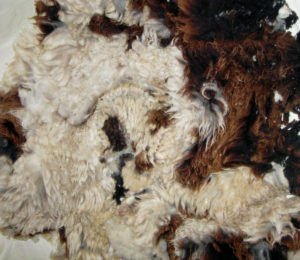 Unwashed so full of natural lanolin, clean of daggings and debis, weighing about 2Kgs each. 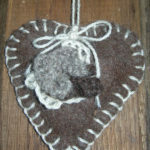 £8.00 each plus £5.50 postage & packing within the UK. 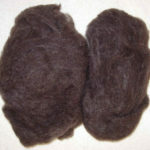 Jacob fleeces and Jacob cross (brown) fleeces. 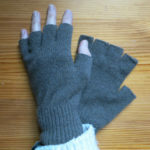 Sorry sold out until we shear in 2019. 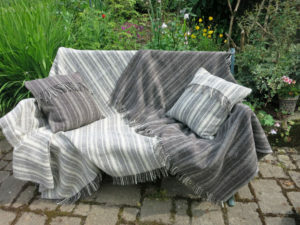 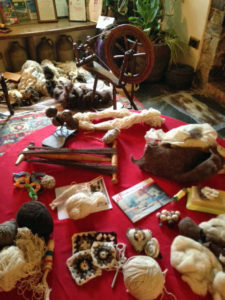 Do come and stay with us, see how the wool is hand spun, have a go at spinning yourself and purchase a momentum! 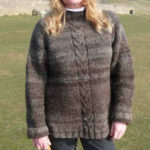 Alternatively please e-mail or telphone if you wish to purchase something to discuss what is available their prices. 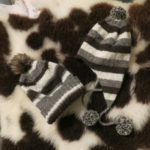 including postage & packaging. 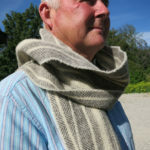 The Campaign for Wool – This campaign aims to promote & educate everyone about the incredible benefits & versatility of wool in fashion, furnishings & everyday life. 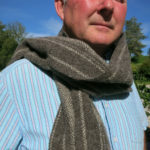 Launched in Jan 2009 by it’s patron, Prince Charles.